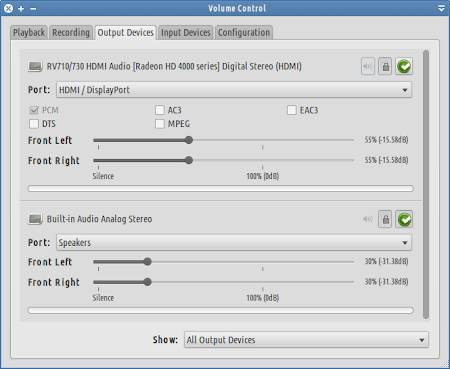 When I installed Xubuntu 12.04 on my laptop (HP Touchsmart tm2) I noticed that even though I had sound playback and the OSD worked, the sound volume didn't increased/decreased after hitting the proper keyboard keys. This was because the keys were actually adjusting the volume of the HDMI output. 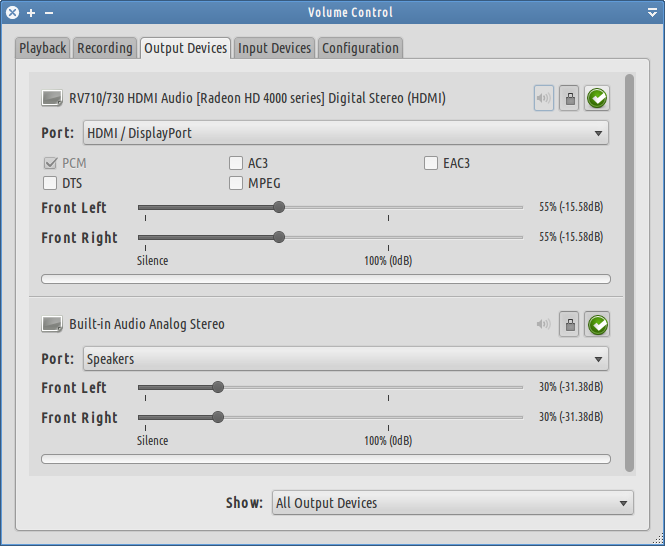 Open "Sound Settings" (Alt+F2 and type: pavucontrol). Select the "Output Devices" Tab. 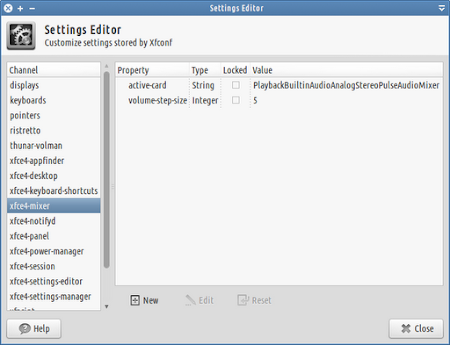 Open the "Settings Editor" (Alt+F2 and type: xfce4-settings-editor). Edit the active-card value entering the value determined previously. 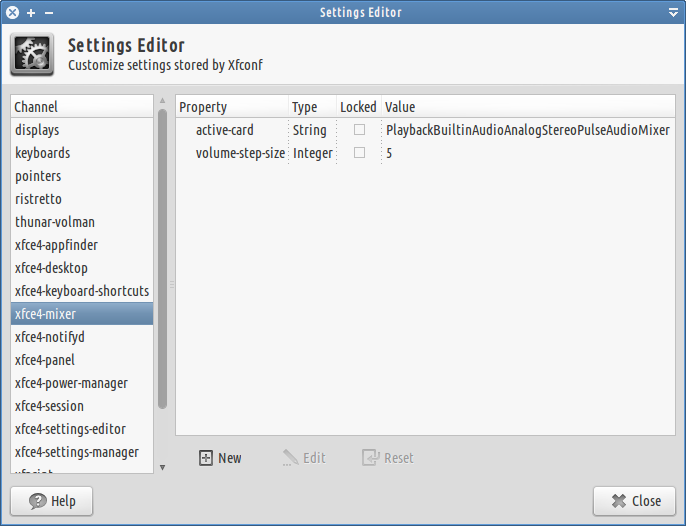 For settings take effect, either restart xfce4-volumed (killall xfce4-volumed && xfce4-volumned) or logout/login. How do I annotate the devices name? If I right click and select rename, it gives me "You need to load module-device-manager in the PulseAudio server in order to rename devices"
Thanks for this tutorial, it is exactly what I need! Yeah, it would be easier if we could copy the name directly from "Volume Control". You can annotate the device name using a text editor or start typing it in the "Settings Editor", just make sure you remove all the blacklisted characters. Awesome, that was exactly my issue on Xubuntu 12.04 Voyager. Thanks a lot ! Thanks, that appears to work, but I don't know why, when I close xfce4-settings-editor the active card parameter changes again to the HDMI device. Sorry, I've just found what the problem was. I'm Spanish, and you can't write characters like á, é, í... I tried restoring the active card variable, it killed xfce4-volumed, then I restarted it from the terminal, and it wrote the activecard removing those characters. Finally I shutdown the HDMI device in the "Configuration" tab in pavucontrol and now it is working. I'm glad that you got it to work. Great. Now it's working. Thanks.